First lady Melania Trump had emergency kidney surgery Monday at Walter Reed National Military Medical Center, and she broke her silence with a Wednesday tweet. The surgery on a benign embolism in the first lady’s kidney was successful. President Trump has since visited Melania twice in the hospital. Melania thanked the medical staff at Walter Reed and “all who have send good wishes & prayers!” She said she is feeling “great” and looking forward to “getting back home” to the White House soon. 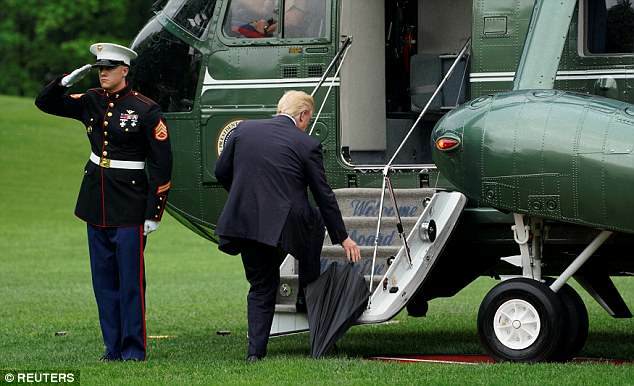 Within minutes of her tweet, the president was seen boarding Marine One at the White House to make his way to be with her. The President visited Melania on Monday and Tuesday too.